After three years of hosting a book-club style homeschool co-op, we co-op moms decided to take a different route this year and focus our efforts on world geography themed units. We will be using Galloping the Globe by Loree' Pettit and Dari Mullins and its companion book, Eat Your Way Around the World by Jamie Aramini as our core curriculum and supplementing with several living literature books, crafts, and activities. We will be meeting twice a month. Each meeting, we will look at a new country within the current continent we are studying. Due to some scheduling priorities, we will not be hitting every single country on the continents that we will look at this year. But, are going to do our best to highlight many of them. We have begun in North America with Mexico. 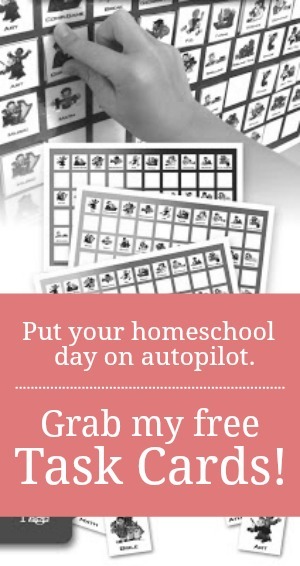 I invite you to join me over the coming school year as I share our themed units. They will be ready-made and easy to implement. I began the morning by explaining that "geography" is the study of the world. I used a set of geography circles to depict the different elements of geographical study...city, state, country, continent, world. We will continue to use these circles to help the children see the relationship between the countries and continents, as this is sometimes a difficult concept to grasp. Next, I shared some of the highlights of Mexico: A True Book by Ann Heinrichs. It detailed the history and culture of this colorful country. We watched a short video clip of Mexican folk dancers with mariachi music in the background. I found an easy Sopapilla recipe and whipped them up the night before co-op. I was able to place the refrigerated sopapillas in the oven at 175 degrees to reheat them. They maintained most of their crispness. We dipped the warm treats in honey. They were a HUGE hit! Next, I we sang The Lord is My Shepherd together. And then, I taught them the Spanish version. 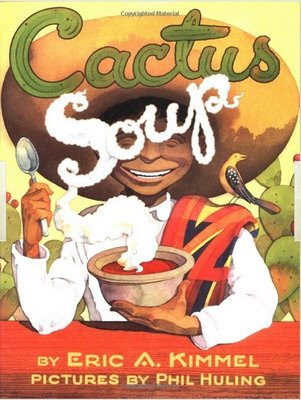 Cactus Soup was an excellent Living Literature addition to the morning. It's a Mexican variation of the classic, Stone Soup and includes some rich Mexican vocabulary with an explanation guide at the back. We will be compiling a geography notebook throughout the year and were able to make our very first entries with a Mexican flag coloring page and a North American Continent coloring page, both of which come in the Galloping the Globe curriculum. We colored Mexico on the map indicating that we had "visited." Our craft was a simple paper bag pinata. We divided the group by families. Each family group was able to complete a pinata to take home and share with mom, dad, and younger siblings. At the close of the morning, I passed out small passport books, which can be found at the back of Eat Your Way Around the World, and instructed the kids to glue their Mexico "stamp" in place. Here are a few more resources for a Mexican themed unit. Thanks for joining me for a look at Mexico. I hope you'll swing by again as we continue our global travels in two weeks. Awesome! I just did a 7 week continent study with my 5 year old. I didn't really think it out before hand and was hard pressed to find activities that represented a whole continent. OH, each continent has many countries that vary! DUH! Love this approach and LOVE your coop! We participated in one this year but it was very disjointed. I'm thinking about teaching next semester and think a class like this would be great fun! Hope you'll join us as we go to Brazil next. I am inspired by this! I have always been apprehensive about a co-op but this sounds fun to do. What grades will this be good for? I have a soon to be 3rd grader. Thank you! Third grade would be perfect. We started our co-op when are kids were 3 and 4 years old. We tweaked it every year to meet their needs. I think this geography club started when the majority of them were around 2nd and 3rd grade.